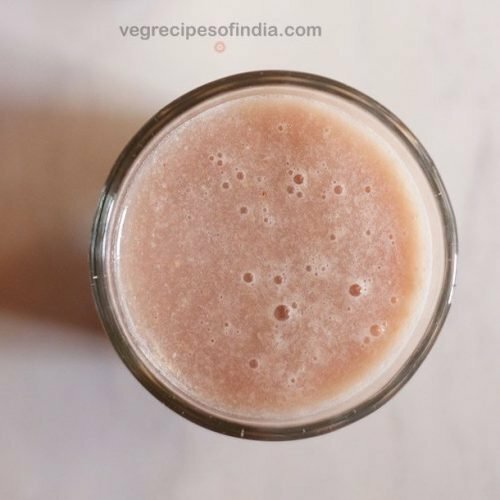 pomegranate juice recipe with step by step photos - one of the healthy juices made with pomegranate or anar. 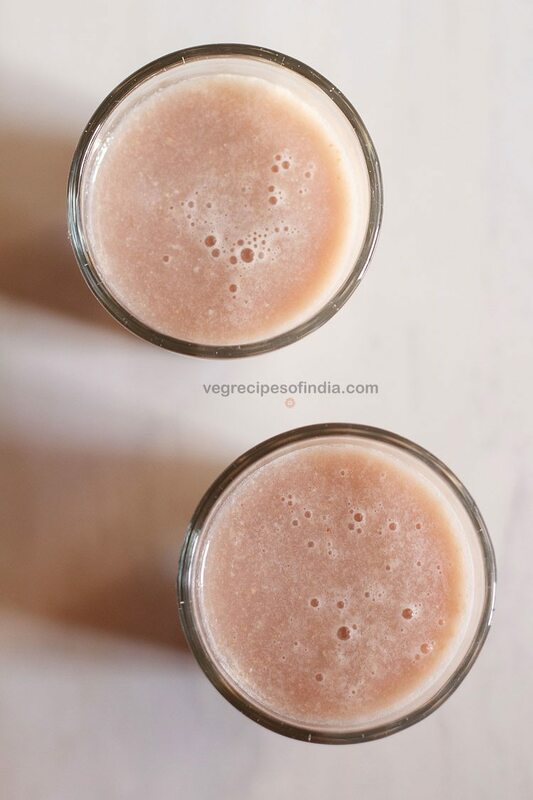 pomegranate juice recipe with step by step photos. the step by step tutorial shows you how to cut open the pomegranates and remove the seeds (arils) easily. the step by step pictures also explains an easy method to extract the juice from the pomegranate seeds (arils) using a mixer-grinder or blender. 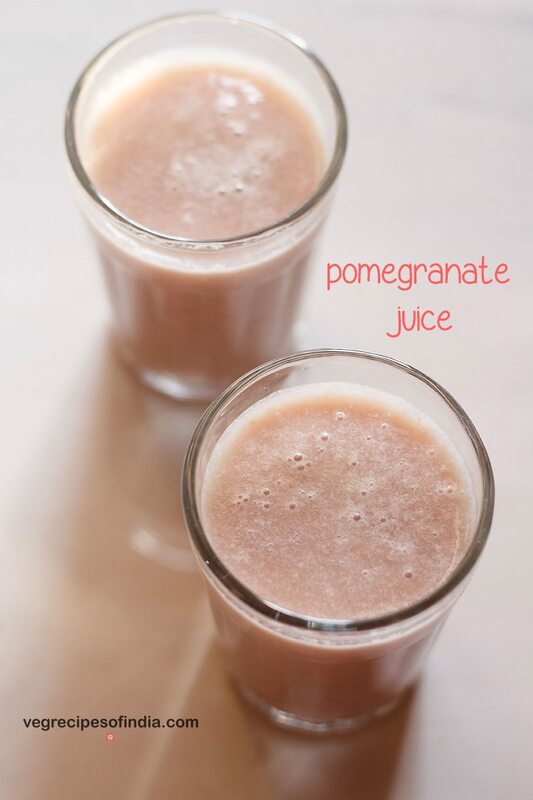 pomegranate juice is one of the healthiest juices. 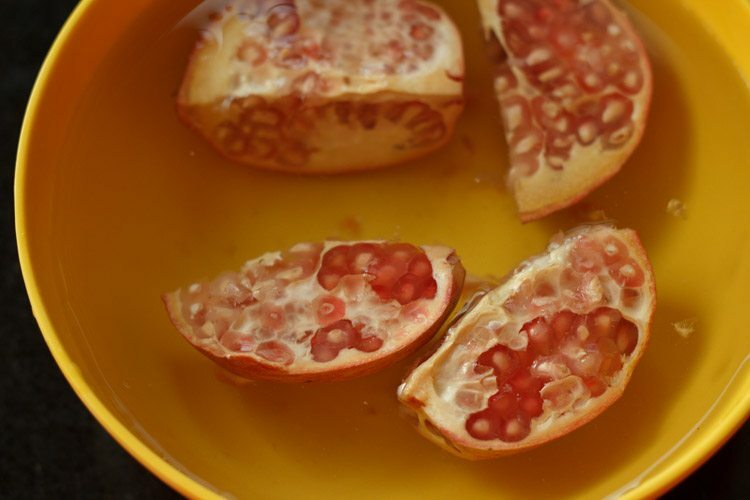 in this post, i have shared the method of removing pomegranate arils (seeds) in an easy way, without the juice falling all over the kitchen tiles or on your clothes. 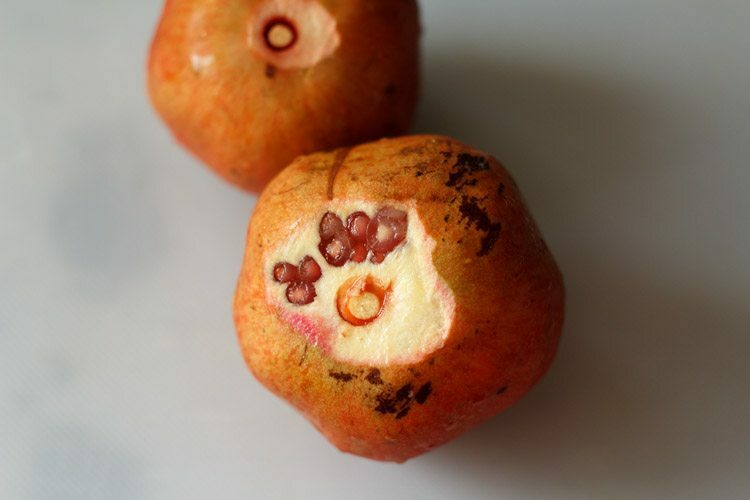 some years back i had read this method on the web and i find it very easy to remove the pomegranate seeds using this technique, without messing up the kitchen. 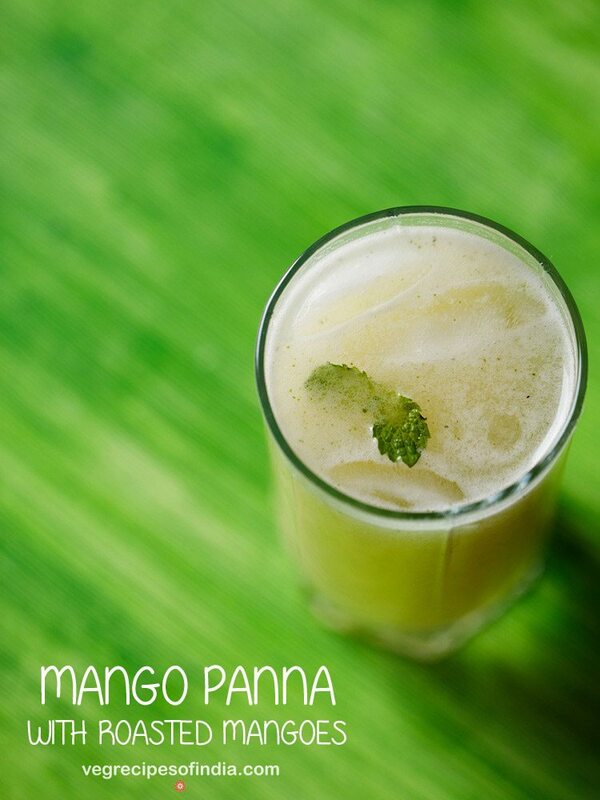 also i have used a blender to prepare the juice and so the method is slightly different. 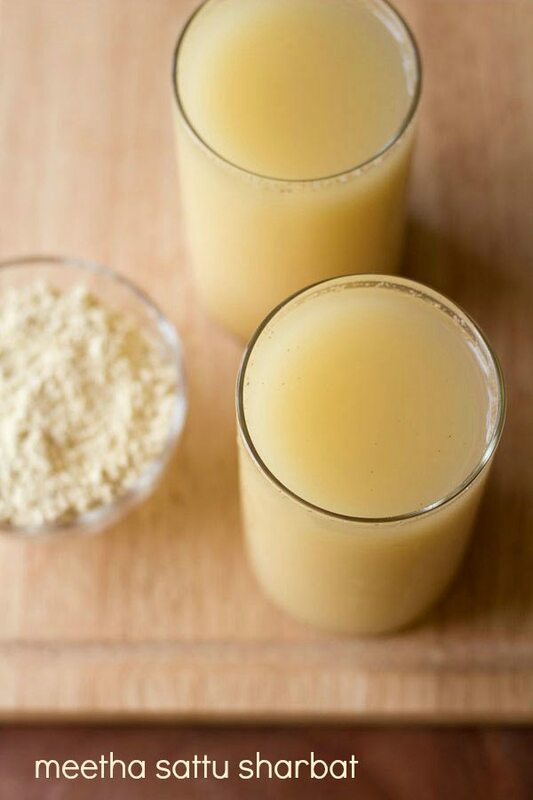 if you use an electric juicer, then just add the seeds in the juicer and extract the juice. the post shares the method of preparing pomegranate juice recipe in a blender or mixer. so you can use any number of pomegranates considering the size of the blender jar you have. 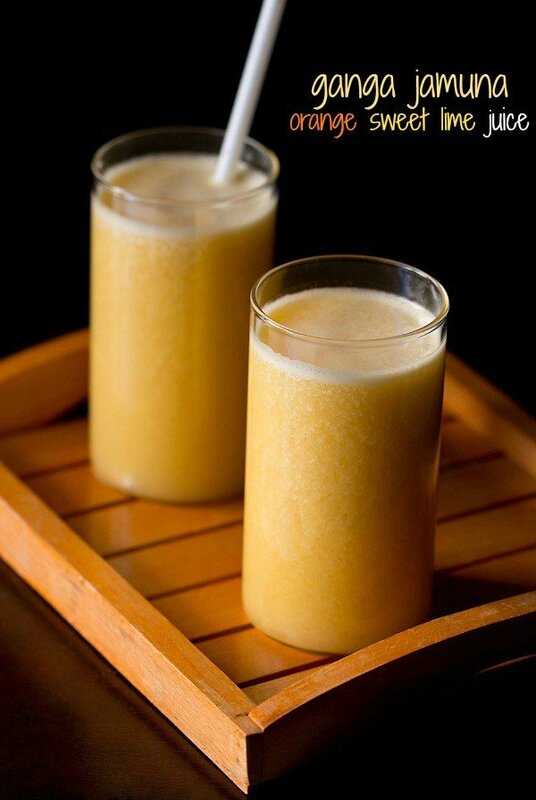 i have also posted how to make orange juice in a mixer blender. i have used locally grown organic pomegranates. these pomegranates had a light pink color but were sweet. depending on the variety, the seeds may have a deep crimson to a light pink color. rinse 2 medium to large pomegranate. slice off the top part thinly. then cut each pomegranate in 4 parts. take a bowl of water and place the chopped pomegranates in it. keep the pomegranates immersed in water and with your fingers remove the pomegranate seeds (arils). the seeds settle down and the white pith floats on top. remove the pith and discard them. drain all the water using a strainer. 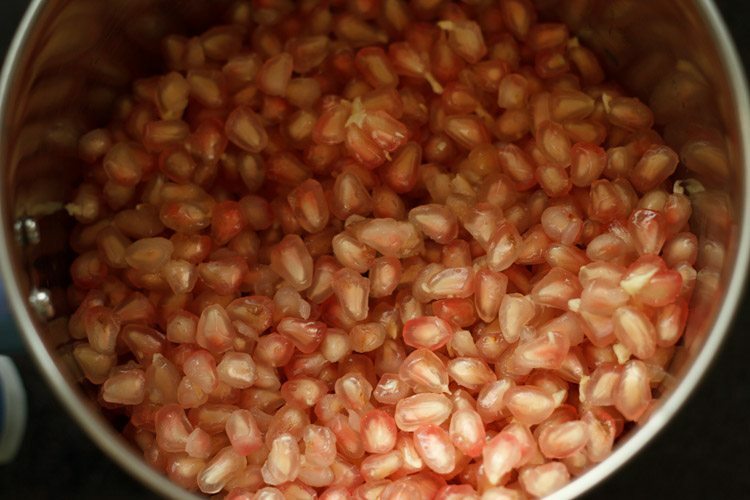 add the pomegranate arils in a blender, grinder or mixer jar. blend well. take a pan or bowl and keep a juice strainer on it. now pour the pomegranate juice in the strainer. 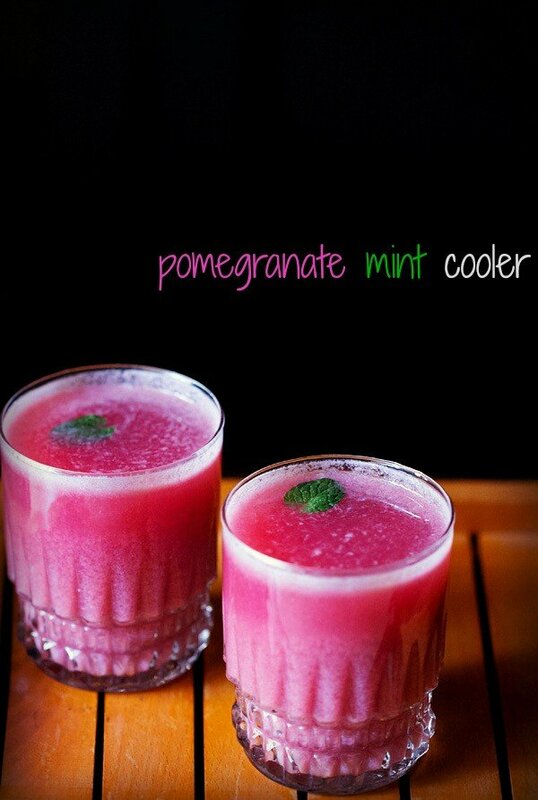 pour the juice in glasses and serve pomegranate juice. 1. rinse 2 medium to large pomegranates. slice off the top part thinly. 2. then cut each pomegranate in 4 parts. 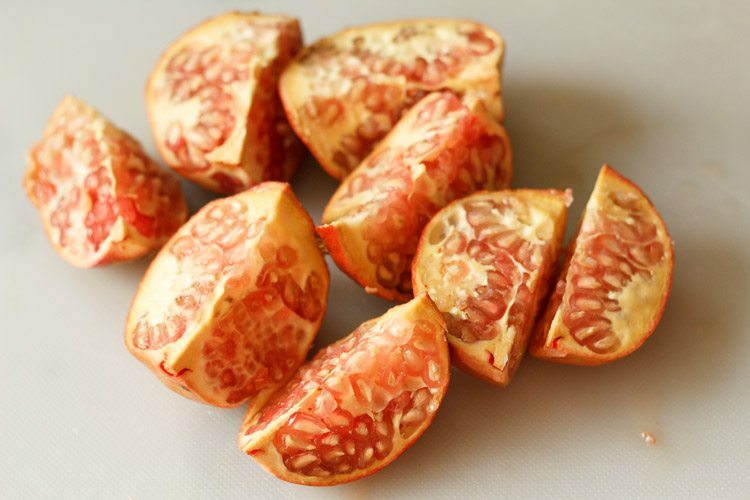 3. take a bowl of water and place the chopped pomegranates in it. 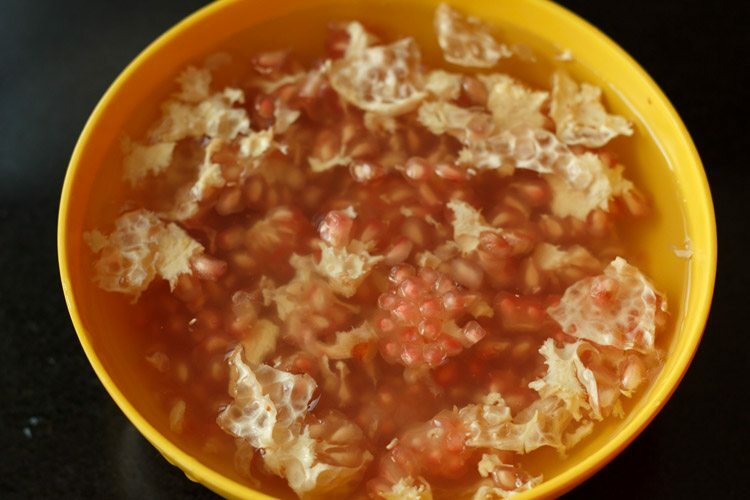 4. keep the pomegranate immersed in water and with your fingers remove the pomegranate seeds (arils). the seeds settle down and the white pith floats on top. remove the pith and discard them. 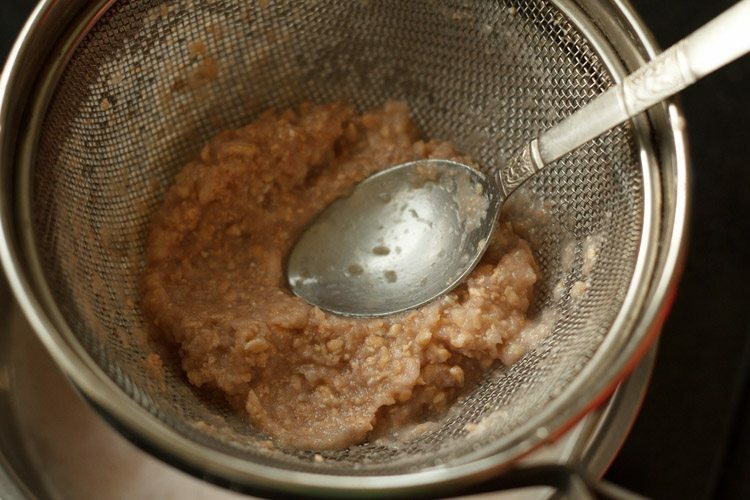 5. drain all the water using a strainer. 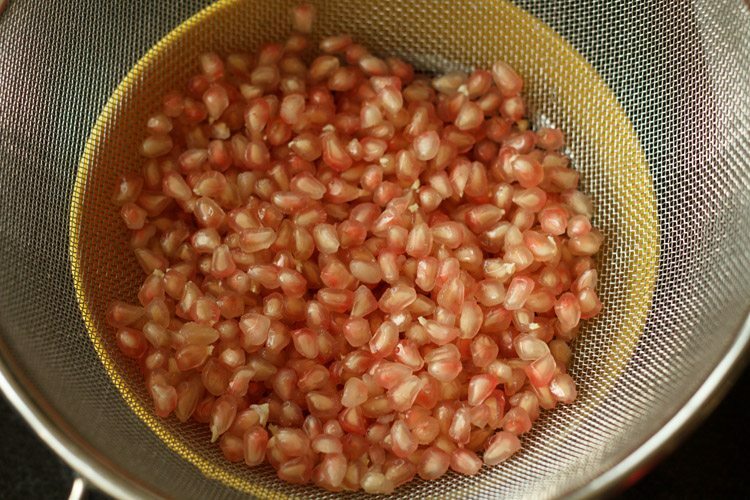 6. add the pomegranate arils in a blender, grinder or mixer jar. 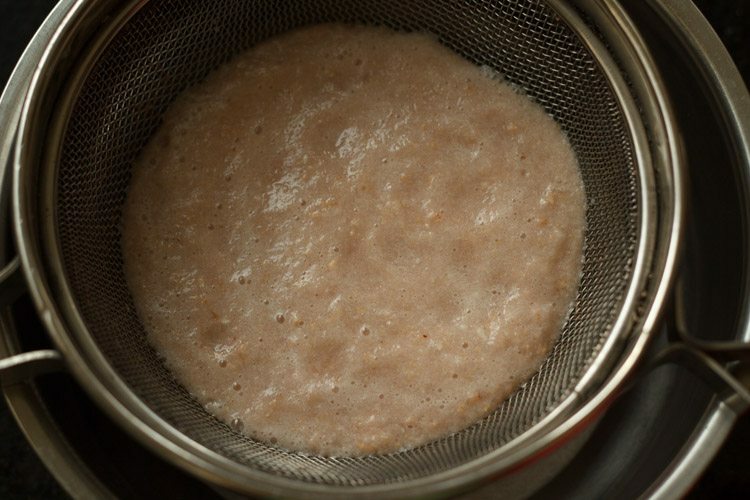 8. take a pan or bowl and keep a juice strainer on it. now pour the pomegranate juice in the strainer. 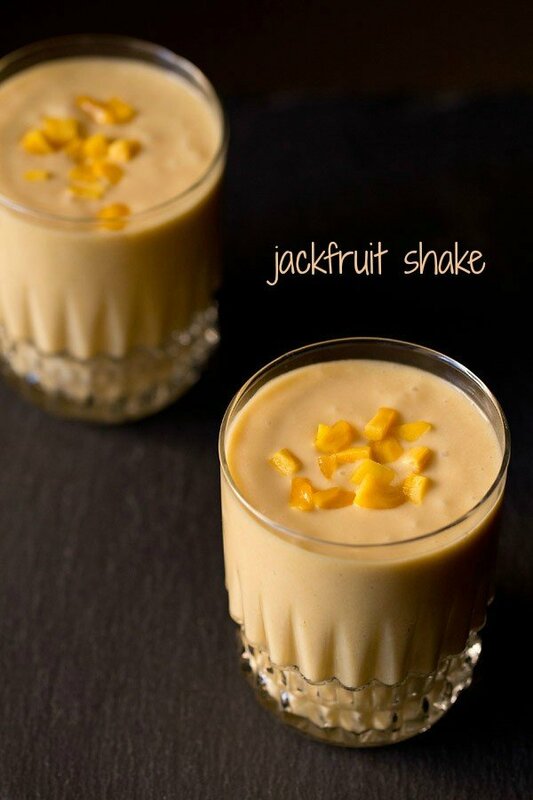 9. using a spoon and stirring it often, extract the juice. 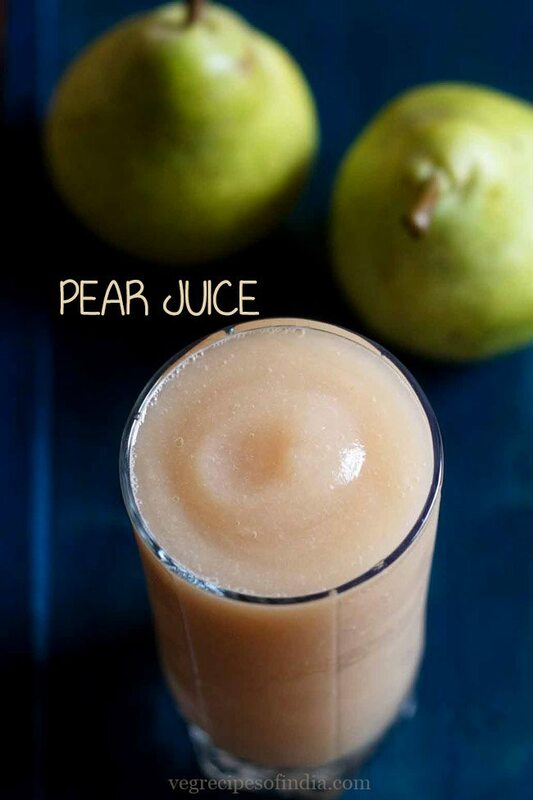 press well so that all juice is extracted. 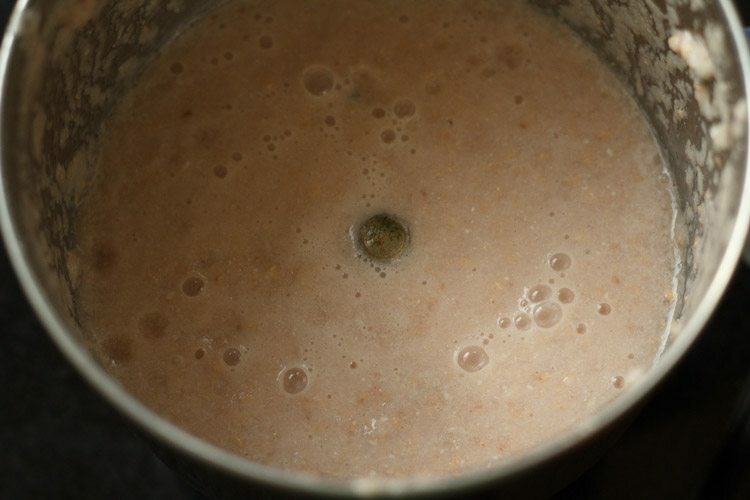 10. here’s the extracted pomegranate juice. 11. pour in glasses and serve pomegranate juice. Pomegranate Juice is my favorite juice. 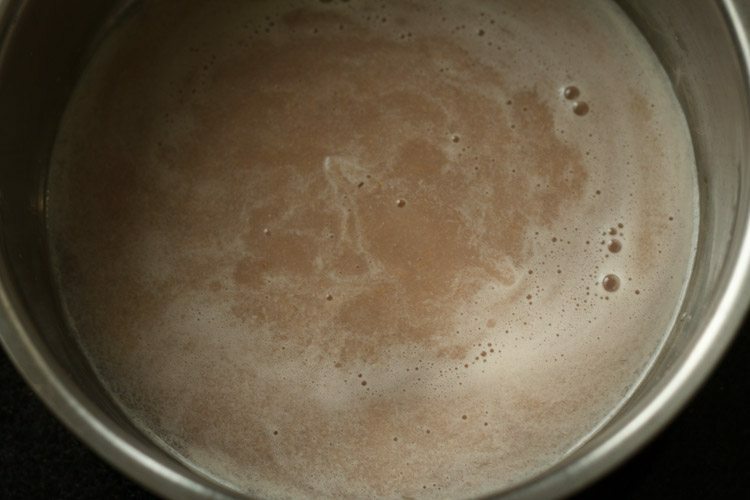 And this recipe is really cool and awesome testy.